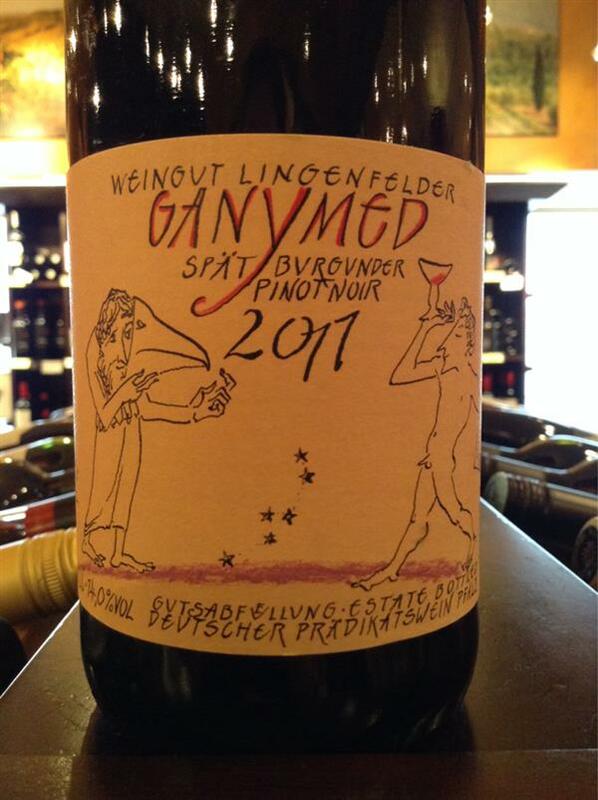 Ganymed, Lingenfelder, Germany, Pinot Noir | Banville & Jones Wine Co.
Want to drink good Burgundy but can't afford it? Try this beauty from Germany. A funky label and funky wine to boot! Lots of cherry, strawberry and raspberry notes that follow through on the palate with silky tannins and a long, long finish. The favorite wine from my last luxury tasting. Ganymed, mythical cup-bearer to the gods...its namesake is divine. 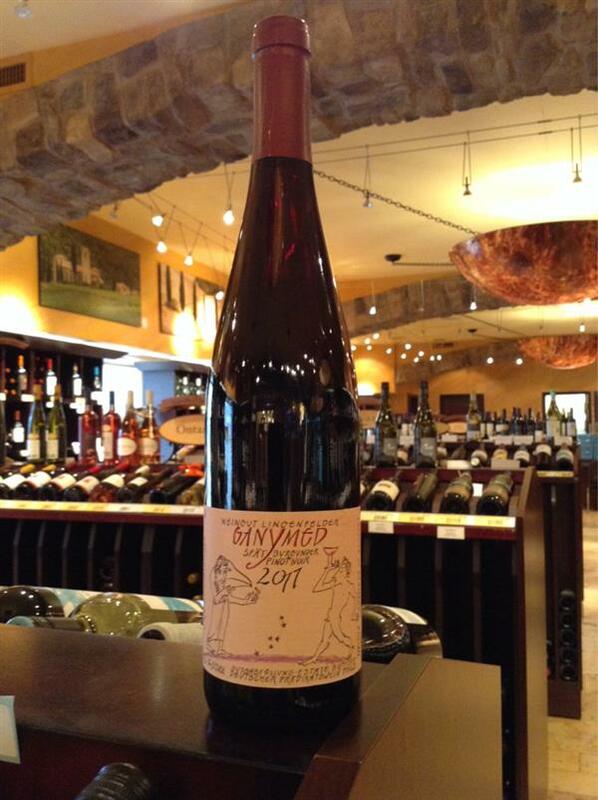 A ripe but elegant Pinot Noir, ready for a raucous evening.